We are officially packed up and in a hotel. Our entire Swiss household has been loaded into a container that will travel across the Atlantic arrive to the United States in March. Goodbyes are hard. Today in particular. I managed not to cry all day until a happy hour with Gabe’s colleagues where I erupted in emotion as they handed us a bag of Swiss memories – a fondue pot, chocolate, and a yodeling Swiss mug. Yes, I cried over a yodeling mug. But it had been building throughout the day, saying goodbye to some very special people. And, let me tell you – another lesson learned….tears aren’t pleasant in below freezing temps. Let’s hope for warmer weather tomorrow. 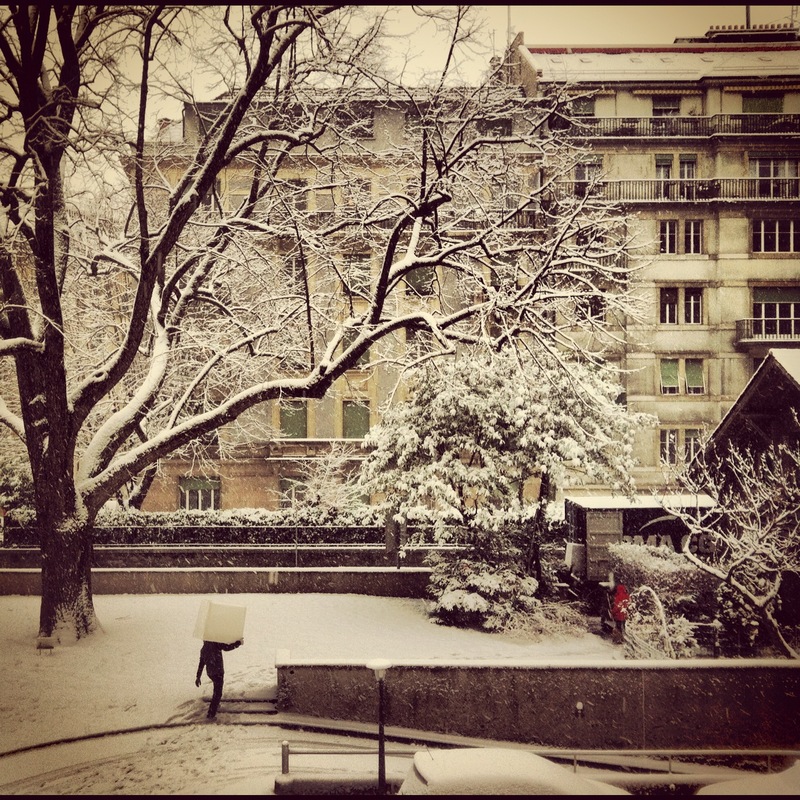 This entry was posted in Learning & Growing, Life in Geneva, Switzerland, Winter. Bookmark the permalink. I am sorry to see you go, but I probably won’t be far behind. It is a place and time that will be special for all of us. All the best for your next adventure! It will be fun keeping up with you on your blog (if you continue) and Facebook.